This week we dive into Local SEO with Andrew Shotland, who most of you know by the twitter handle @localseoguide. We are seeing a lot of different SERP features gobbling up more and more of the SERP real estate, making it increasingly important for local brands to figure out how to work inside of Google’s systems. Along with being a valued member of the SEO community, Andrew helped launch Showtime Networks first website, and with NBC’s Internet division, launched some of the first TV to Web experiences. In 2003, he helped launch InsiderPages which was acquired by CitySearch in 2006. 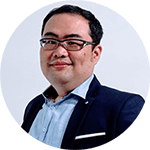 Since then he has been guiding SEO clients big and small at his company Local SEO Guide. 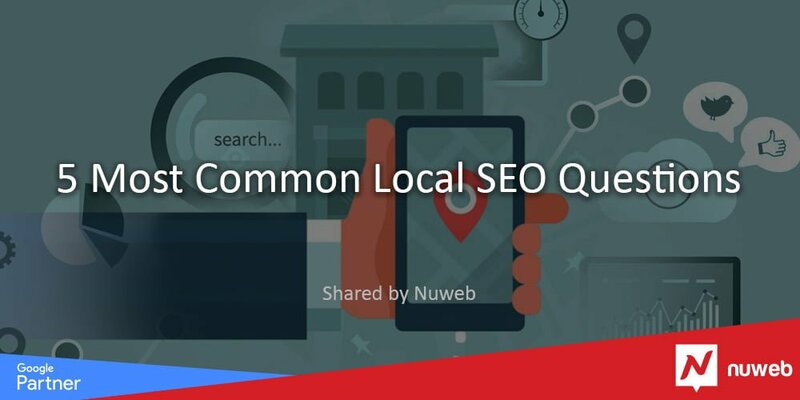 Read on for Andrew’s expert insight into our questions surrounding Local SEO. 1. How has Local SEO changed in the past 2 years? Google has anchored Local Packs at the top of pretty much every SERP it considers to have Local intent worldwide. This has led to a lot of organic activity for local businesses migrating from their websites to Google My Business, Google Maps, etc., which makes it harder for businesses to understand what is going on because GMB data lives in a different silo than normal web analytics. And while Google has made huge improvements in providing GMB data, it is still very flawed, and most brands we see aren’t even trying to make sense of it. So in short, Local SEO is a bit of a mess. Guess it hasn’t really changed much. Per the Local Pack stuff, Google has been iterating on Local SERPs non-stop. Every week, someone spots some kind of test, and we are seeing a lot of different SERP features gobbling up more and more of the SERP real estate, making it increasingly important for local brands to figure out how to work inside of Google’s systems. GMB has rolled out some pretty interesting services in the past year like Posts, Product Posts, Videos, Q&A, Messages, etc. Each of these presents an opportunity for local businesses, but each is a challenge to operationalize and monetize. So it’s a great time to be in the GMB consulting business because you have more levers to pull than ever. 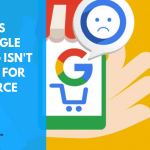 People are making a big deal out of mobile and voice search, and while these are definitely trends to be aware of, we haven’t seen it affect our Local SEO programs at all. Before there was such a thing as the mobile-first index, we still were telling clients to improve their mobile site experiences. Before Alexa existed, we were telling clients to make sure their data is cleaned up around the Web so IoT devices could easily integrate the business into their systems. As far as tactics go, we have done a large Local SEO Ranking Factors study for the past two years, and we keep seeing link building and reviews as critical. Citations can still be important for businesses that don’t have many or don’t rank in the Local Packs, but once you start showing up in the Local Packs, the importance of citations seems to decline. 2. How do I beat out big competitors like Yelp etc., when I have no budget? The good news is that the trend over time appears to be that Google wants to show more and more truly local businesses in each part of a Local SERP which means less opportunity for these big directories. There will always be some directories in these SERPs, but smart local businesses even with small budgets can compete. Once you have your basic website, a Google My Business Page and your local citations in place, it pretty much becomes a content, links and reviews game. In some cases, local businesses can win if they are able to pump out some content that is materially better than say Yelp’s nail salons in page, or even just publish on their site the most common FAQs they get from customers. But that is not going to work for most SMBs, so they should focus on getting a steady stream of positive customer reviews on Google, Yelp, and any other site that is relevant to their niche/market. They also should be in the habit of prospecting for links as they network in their community. It doesn’t take many links to move the needle for most local businesses. And the new GMB services like Posts are a great free way of helping attract customers that may already be familiar with your brand. 3. 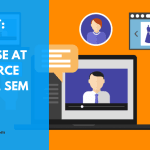 How much does social media factor into my Local SEO efforts? We don’t see it playing a huge factor outside of reviews. We know some guys who use Google+ to try to send the right signals to Google, and that is kind of interesting, but other than seeing URLs that get a lot of action on Twitter get crawled more, social SEO is not really a thing we focus on. Of course, if all of your customers are on Facebook, you should probably be active there too. 4. If I am a local pizza/plumbing/real estate business, how do I best differentiate myself from all the other local businesses in my niche? The easy answer is you need to “build a brand.” That can mean a number of different things these days, but, outside of some of the spammier industries like legal and dentistry, we tend to see businesses that have decent brands — as in they market themselves offline, they have good word of mouth, etc. — tend to do well with SEO once you get their program in place. 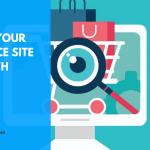 But there are plenty of businesses with not much of a brand that can do well, usually, by just setting up their site and GMB pages correctly and getting links and reviews. 5. What 3 Local SEO tips do you have for businesses trying to boost their local rankings and conversions? 1) Come up with a unique but inexpensive way to generate links on a regular basis. Sponsor a kids’ soccer team — actually, sponsor all of the kids’ soccer teams. 2) Bake customer review generation into your processes. 3) Make sure you have an SEO strategy. We see so many big and small companies that just want “SEO” but have no strategy to get it. – Have a website that is easy for Google to understand and navigate. – Have their GMB pages 100% optimized (and start using posts, Q&A, etc.). – Have their basic local citations cleaned-up. – Have a content strategy designed to target high-converting search queries. – Consistently generate customer reviews. Huge thank you to Andrew for answering some of our burning Local SEO questions! There have been a LOT of changes to the Local SEO scene in recent years. For example; SERP real estate is rapidly dwindling and, once your site starts showing up in the Local Packs, the importance of citations seems to decline. Focus on getting a steady stream of positive customer reviews on Google, Yelp, and any other site that is relevant to your niche/market. Also, be in the habit of prospecting for links as you network in your community. If you are a local business, try to build a brand in order to stand out and differentiate yourself from your competitors. Find unique and creative ways to constantly generate links to your website, such as sponsoring a local sports team. 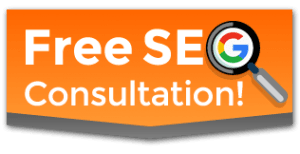 Implement an actual SEO strategy. It is not enough to just “want” SEO. Are you trying to rank for local results? We would love to hear about your trials and tribulations in the comments.